Michael III was Byzantine Emperor from 842 to 867. HeI was the third and traditionally last member of the Amorian (or Phrygian) dynasty. 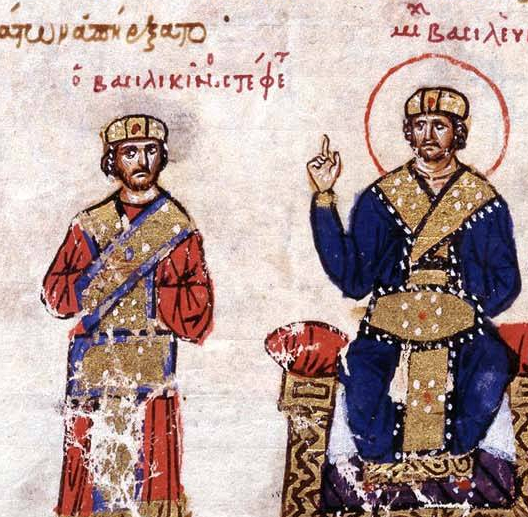 Though Michael III was allegedly prone to squander money, his reign stabilized the economy, and by the year 850 the empire's annual revenues had increased to 3,300,000 nomismata. The definitive end to iconoclasm early in his reign led, unsurprisingly, to a renaissance in visual arts. Michael was assassinated as he lay insensible in his bedchamber following a drinking bout in September 867.